As I was going through some old photos, I came across a video and photo series I created back in 2010 to show how to make your own firestarters out of a mini candle and some wood shavings. I’ve used this for so many years I can’t remember where I first learned it from. 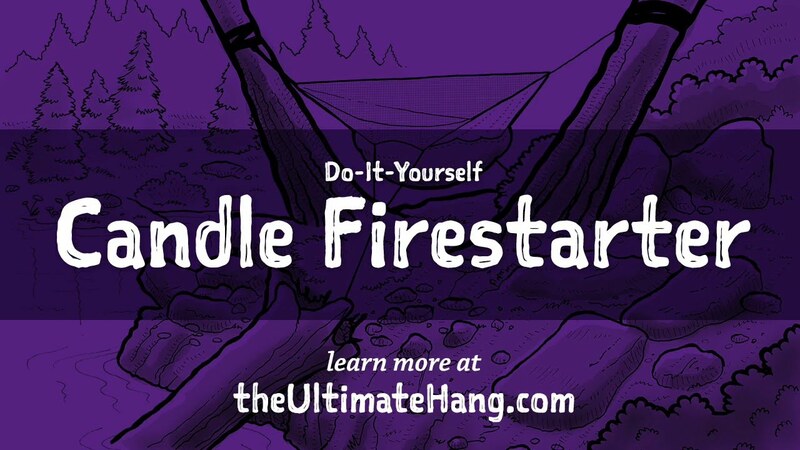 These firestarters work great when tinder is scarce or damp. It has a burn time of about 10 minutes. I usually throw one or two into my ditty kit when I go camping or backpacking. Besides the burn time, I like that these firestarters aren’t goopy, slimy, or sappy like other options. Melting the wax is the most time-intensive part, but once you get it started, it goes quick. I usually create an assembly line and make dozens at a time. Dismantle the candles by removing the wick and the aluminum casing. Save the casing! Place a paper baking cup into the aluminum casing. This helps to keep the firestarter well-formed when the wax is poured. To use, simply ignite a spark or light the top on fire! Would it also help to use fatwood shavings as another layer of incendiary goodness? I used to make fire-starter with wood shavings & wax, but used an egg carton to hold the materials. I put the shavings in the egg cups, poured the melted wax on top of the shavings & let it set up. Then I’d grab an egg cup to start the fire. I used the wax that you buy at the grocery store for canning. I’m just getting back into camping…. Here’s another, easier firestarter that I came across years ago – cotton balls + vaseline! You “mush” vaseline into the cotton ball, that simple. Each will burn like a candle, long enough to get a fire going. I carry a bunch in a little zip lock bag.